How many devices can I pair to my BEYOND hearing aids? Up to 8 Apple devices can be paired to a single set of BEYOND devices for direct-to-iPhone connectivity. Please see available Apple devices in Question 2 for more information. Widex BEYOND and the Widex BEYOND App are compatible with the following devices or newer: iPhone 6s, iPhone 6s Plus, iPhone SE, iPhone 6, iPhone 6 Plus, iPhone 5s, iPhone 5c, iPhone 5, iPad Air 2, iPad Air, iPad (4th generation), iPad mini3, iPad mini 2, iPad mini with Retina display, iPod touch 6th generation using iOS 9. The BEYOND app will be available in early 2017 to use with select Android phones. This will provide advanced hearing aid control with compatible Android phones. Due to Android wireless connectivity, direct streaming will not be available. Fortunately, the COM-DEX, CALL-DEX, and UNI-DEX provide streaming options for Android phone users. The iPhone native app offers Live Listen to turn the phone into a remote microphone. This can be accessed by pressing the iPhone home button three times quickly. This triple click will open the iPhone hearing device app and list the Live Listen feature. The Live Listen sound quality can then be modified by going into the BEYOND app. No, there is no extra cost for using the BEYOND App. Hearing aids are electronic devices that pick up and amplify sound. They increase the volume of sounds that you normally wouldn’t hear. The hearing aids we offer at bloom hearing specialists do much more than amplify sound. The aid’s sophisticated circuitry is programmed by our hearing care professional to suit your unique hearing loss, and the high-tech features are selected based on your lifestyle. See our hearing aid range here. Our hearing aids will not only improve your hearing, but your quality of life. Why not request a free two-week trial to experiences changes to your lifestyle. At their most basic, hearing aids are microphones that convert sound into electrical signals. An amplifier increases the strength of the signal, then a receiver converts it back to sound and channels it into the ear canal through a small tube or ear mould. A battery is necessary to power the hearing aid and to enable amplification. What are the advantages of wearing two hearing aids? The average hearing aid lasts between 3 – 5 years - but longer with regular servicing and maintenance. Free aftercare for life is just one reason to buy from bloom hearing. Here is more about our full range of services - all part of the price when you do buy from bloom. We at bloom™ hearing specialists offer all modern hearing aid styles. Book a free appointment online with our Audiologist at your local bloom hearing specialists store to find out more. As well, you can contact us at 0800 612 7978. Digital Hearing aids offer far better sound quality and clarity and have largely taken the place of analogue ones. They have a tiny computer inside which processes sounds and this makes it possible to customise them very precisely to suit each individuals hearing loss. Read more about the Widex EVOKE range and ask for a free demonstration to fully appreciate what digital technology can deliver. You can book free appointment online with your stores or call 0800 612 7978 and discuss the degree of your hearing loss with us. For maximum benefit from hearing aids it is advisable to wear two hearing aids. If you are experiencing feedback, try cleaning your hearing aids and your ears themselves. If that does not stop the feedback, consult your local bloom hearing consultant. You can book free appointment online with your local bloom hearing specialists store or call 0800 612 7978. Here some more information on looking after your hearing aids. When you are next ready to top-up your battery supply, see our bloom hearing shop for offers. Some makes and models work automatically. For what type of hearing aid suit you, look at our main range and ask for a demonstration with no obligation. 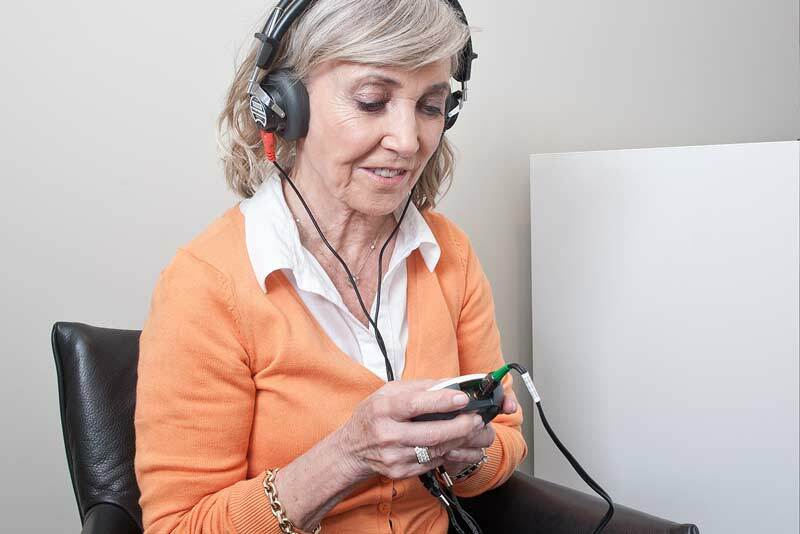 If you are unsure of what the different beeps mean, you can always contact us at 0800 612 7978 or book free appointment online for more information on specific beeps, or refer to the User Guide that came with your hearing aid. You can find out more about excess earwax and simple basic ways on how to maintain your hearing aids. For more information about looking after your hearing aids, contact us on the above number, or go to our page on hearing aid maintenance. Check whether the battery is correctly inserted and fitted in correctly. If there is no improvement, replace the battery. If the problem persists, contact your local bloom hearing specialists store by calling 0800 612 7978 or booking a free appointment online. Insert a new battery and take note of exactly how long it lasts. You can always contact your local bloom hearing specialists store for information for help and advice. It is recommended that you remove the sticker from the battery, and wait about 2 minutes, before you insert the battery. If you need immediate assistance, you can call us at 0800 612 7978.
bloom also have an online shop to buy batteries, plus accessories on ear hygiene and hearing aid maintenance products. If the problem persists, contact your local bloom hearing specialists store for assistance by calling 0800 612 7978 or booking a free appointment online. Remove the hearing aid and contact your local bloom hearing specialists store audiologist. You can book a free appointment online or call 0800 6112 7978. If the problem persists, please contact your doctor. You can contact us by booking free appointment online with your local bloom hearing specialists store or calling 0800 612 7978. Go to our special page for more about how best to look after your hearing aids. If you need immediate assistance, you can call us at 0800 612 7978. Or see our page about looking after your hearing aids on other topics. See also our general guidelines on maintaining your hearing aids. Look up more information of managing excess earwax. - Protect your hearing aid from moisture. Remove the hearing aid from your ear before showering, bathing or swimming. Due to high moisture levels, you should not leave it in the bathroom. Occasionally clean your ears before inserting the hearing aids. Moisture and condensation can damage the electronics in your hearing aid. We recommend that you remove the battery from the hearing aid at night and to leave the battery compartment open. You can use special drying systems that are available at your local bloom hearing specialists store. See here for operating the battery door. You can buy batteries online here. Go to our hearing shop to buy batteries. bloom hearing batteries are made by Rayovac - leaders in battery technology. -Not enough time for battery to be activated/charged after removal of the tab. -Dented battery surface causes poor contact with battery terminal of the hearing aid. -Battery is dead (even if it is brand new). This is very rare. Can as well happen when not activated correctly. Built up dirt on the battery terminal of the hearing aid causes poor contact. -The battery does not fit into the battery door of the hearing aid (some battery doors are designed with a smaller cavity where the battery negative housing is placed). If the hearing aid does not work properly after replacing with a new battery wait two minute after removing the tab before use, please take your hearing aid to your local bloom hearing specialists store for further troubleshooting. bloom hearing batteries are excellent value for money and best quality - from Rayovac. We offer a wide range of hearing aids from the world’s leading manufacturers at prices to suit everyone's budget. You can book free appointment online with your local bloom hearing specialists store or call 0800 612 7978 and we can assist you on finding the right hearing aids. As well, you can try our FREE Online Hearing Test. The hearing aids chosen will depend on your specific form of hearing loss and other needs and preferences. We, at bloom™ hearing specialists offer financing plans and options to meet all budgets. Call us for more information. We offer a wide range of hearing aids from the world’s leading manufacturers at prices to suit everyone's budget. You can book free appointment online with your local bloom hearing specialists store or call 0800 612 7978 and we can assist you on finding the right hearing aids. Yes, we can assist you with any problem with your hearing aids, even the ones which are not purchased from us. You can contact us today by booking free appointment online with your local bloom hearing specialists store or call 0800 612 7978. In the unlikely event of a repair being needed, if repairs are not possible on the spot, our aim is to return your hearing aids within 24 hours. Furthermore, when you do buy from bloom™ hearing specialists and you do have to wait for a repair, you will be offered a pair of courtesy hearing aids. This ensures you continue to hear well in the meantime. Very often, and with hearing aids that do not require a custom-fit earmold, you can be fitted immediately after your hearing assessment. On the day. This is particularly good news if you take up the option for a two-week free trial. Otherwise, non-customized hearing aids are normally fitted within one week. Custom aids are fitted within two weeks of your hearing assessment. All our hearing aids are selected and programmed individually to meet your specific hearing requirements and this can sometimes take between one to two weeks dependent upon the type of hearing aids. If you want to learn more about the hearing aids we offer you call us at 0800 612 7978 or book a free appointment online with your local bloom hearing specialists store. We will look after your hearing aids for life. This unrivaled program of support includes a regular assessment and evaluation of your hearing, expert help and advice, demonstrations of new hearing aid technology to ensure you continue to get the most out of your hearing aids. Hearing aids come with a 4-year manufacturer warranty. These are two of several reasons to trust bloom hearing. Hearing aids are sophisticated medical devices that require proper fitting face-to-face with a licensed audiologist or hearing health professional. For this reason, we do not support online hearing aid sales. You can book free appointment online with your local bloom hearing specialists store or call 0800 612 7978 and we can assist you on finding the right hearing aids. bloom™ customers very often opt for a two-week free trial - even before they commit to buying. This takes the guesswork out of deciding on the best hearing solution for you. As well as this initial trial period, you are further protected by a 60-day money-back guarantee from the time of fitting. During these periods, we will work with you to ensure your complete satisfaction. After buying, you will have follow up visits to fine-tune your hearing aids. If necessary, we make any changes to the style or circuitry. Yes. bloom™ hearing specialists offer a 60-day money-back guarantee, which is above the industry standard. But it is important to give yourself a reasonable chance to adjust to your hearing aid, knowing it sometimes takes a few months to get comfortable. For your further protection, there is a 4-year manuafacturer's warranty for all of our hearing aids. To learn more about our latest offers, call 0800 612 7978 free appointment online with your local bloom hearing specialists store. Yes. Most people need an initial adjustment period before becoming fully acclimated to — and receiving the full benefit from — wearing their hearing aids. However, you should expect to notice obvious benefits during the two-week trial period. Remember, your hearing professional is there to help. Do not be afraid to call us at 0800 612 7978 or visit us by booking a free appointment online with your local bloom hearing specialists store to discuss your concerns. It is possible to hear a whistle when putting a hearing aid in your ear. If should not, however, whistle when it is in place in your ear. If it does, make an appointment with your local bloom hearing consultant to have your hearing aid checked. You can book a free appointment online with your local bloom hearing specialists store or call 1800 480 480 or 01 874 2341. If the problem continues, you can book free appointment online with your local bloom hearing specialists store or call 0800 612 7978. Next, you can try our FREE Online Hearing Test. If experiencing hearing loss problems, you should visit an audiologist or hearing health professional. You can book a free appointment online with your local bloom™ hearing specialists store or call 0800 612 7978. They can perform a series of painless tests to determine if you have a hearing loss. If appropriate, any intervention or treatment options can be discussed during your visit, and these experts can answer any other questions you may have. Depending on the test results, they may also recommend that you see your physician or an ear, nose, and throat specialist prior to getting fitted with hearing aids. If you suspect your child has hearing loss, it’s best to talk with your pediatrician first, who can then refer you to a pediatric audiologist for testing and treatment if necessary. Hearing problems rarely cause discomfort or pain. Because the hearing loss process is gradual, it’s common to adapt to your own hearing loss without realising it. You can try our FREE Online Hearing Test. You can book free appointment online with your local bloom hearing specialists store or call 0800 612 7978 and we can assist you on finding the right hearing aids. Only a relatively small percentage of doctors routinely screen for hearing loss. Since most people with hearing impairments hear just fine in quiet environments (like your doctor's office), it can be very difficult for them to recognise this problem. However, you can have your hearing screened online - here - as an initial first step to see if loss is evident in the first place. - Personal relationships. After all, successful relationships depend on successful communication. - Job performance. Hearing aids eliminate the need to constantly ask “What?” or “Can your repeat that?” and keep you on top of your game. - Safety. You don’t want to miss hearing a smoke alarm, a window breaking, a dog barking at a stranger, an oncoming car when you’re walking, or a siren when you’re driving. The easiest way is for you to ask bloom for a free, no-obligation, hearing aid trial - to prove to yourself the full benefits of hearing aids. No hearing aid can restore your hearing 100 percent. However, our hearing aids will let you hear soft sounds that you couldn’t hear before. Most importantly, your hearing aids will also help you better understand speech, especially in noisy environments. Conversely, they prevent loud sounds from becoming uncomfortably loud for you. The best way to find out is to take a two-week free trial - without obligation - and without parting with a penny. Simply call 0800 612 7978 or apply online. To find out more, read what we say about the Unique hearing aid range. If you think a person close to you is having hearing loss, you should recommend him visiting a hearing specialist. We offer a FREE Online Hearing Test which takes only 5 minutes. You can understand better how it sounds for people with hearing aids here. You can book free appointment online with your local bloom hearing specialists store or call 0800 612 7978 and we can assist you on finding the right hearing aids. Because hearing deteriorates slowly, a routine check every two years is a good way to monitor the situation as we get older. They are free of charge and can be booked online, or by calling 0800 612 7978. Home appointments are also free. If you are worried that you might have a hearing problem, can try our FREE Online Hearing Test. You can book free appointment online with your local bloom hearing specialists store or call 0800 612 7978 and we can assist you on finding the right hearing aids for you. Click here to download our tinnitus folder. Click here and download our tinnitus folder. Click here to get more information about tinnitus download. If you want to know more about our offers, you can book free appointment online with your local bloom hearing specialists store or call 0800 612 7978 and we can assist you on finding the right hearing aids for you. Click here to get more information about tinnitus. More about tinnitus and download our tinnitus folder.